From 1979 until 2003 Saddam Hussein and the Baath Party ruled the country. It was a secular, but Sunni-dominated regime. In 2003 Saddam Hussein was overthrown when a US led coalition invaded the country. Hussein was executed in 2006. In April 2014 parliamentary elections were held in Iraq. 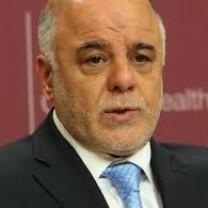 Haydar al-Abadi became the new Prime Minister and formed a government in September that year. One of the new government’s main aims was to re-establish security in the country. Subsequent governments were however unable to provide security in the country. In 2014 and 2015 Islamic State of Iraq and Syria (ISIS) took control over large parts of Iraq. In the aftermath of the ISIS conflict, parliamentary elections were surprisingly won by the Shia cleric Sadr and his reform coalition. Want to get notified by mail when Iraq gets updated? Fuad Masum was born in 1938 being the son of Sheikh Mulla Masum, former head of the Association of Muslim Scholars in Kurdistan. Masum was the founding member of Talabani’s Patriotic Union of Kurdistan and served as its envoy in Syria and Britain. He became Prime Minister of the Autonomous Kurdistan Region in Northern Iraq in 1992. 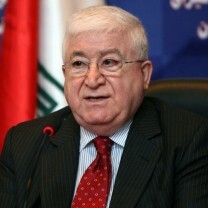 Masum was overwhelmingly elected President of Iraq in 2014 by the parliament. He is the second ethnic Kurdish President of Iraq, succeeding Jalal Talabani. His election came as Iraq started to battle the uprising of the Islamic State. Masum is seen as being a soft-spoken moderate and known for keeping good relations with Sunni and Shiite Arab politicians. Haider al-Abadi was born in 1952 in Baghdad as Shia Arab. He joined the Islamic Dawa party at the age of 15, but Abadi’s family came into conflict with the Saddam Hussein regime when the Ba-ath party seized power. Abadi studied electrical engineering in Baghdad and did his doctorate at the Manchester University in Britain. Abadi had several jobs in the government under which Minister of Communications and Deputy Speaker of Parliament. Maliki had to resign in 2014 after Haider al-Abadi was designated to form a new government and became Prime Minister after he succeeded in forming the government. Iraq gained independence in 1932, after being a League of Nations mandate under British administration since 1920. The coup d’état in 1958 led to an end of the monarchy and a republic was established. From 1979 to 2003 the country was ruled by President Saddam Hussein. Until 2003 Iraq remained a de facto Arab nationalist and socialist one-party state. In 2003 the government of Saddam Hussein was overthrown by a US led invasion. The United States claimed they invaded the country because of the presence of weapons of mass destruction, such as chemical and biological weapons, and secondly to introduce democracy. These weapons of destruction were never found however. Saddam Hussein was captured by American forces in December 2003, and executed by an Iraqi military court in 2006. His party, the Baath Party, was dissolved. Many Baathists, such as former army and intelligence officers, later joined IS and have reportedly played a significant part in its rise. In 2013 the Islamic State of Iraq (ISI), a Sunni Arab rebellious group that was formed following a merger of different Iraqi insurgent groups, started expanding rapidly to parts outside Iraq. The group adopted the name of Islamic State of Iraq and the Levant (ISIL) in 2013 and proclaimed itself an Islamic State (IS) in January 2014. The militant group has spread over central and northern Iraq and Syria, leaving a trail of death and destruction. In response to this threat, a US-led coalition of regional and Western powers started a campaign of air strikes in 2014. ISIS was defeated over a period of several years. Leaving a country devastated behind. Iraq is plagued by sectarian violence, corruption and political infight. In 1974, the Kurdistan region in Northern Iraq was granted limited autonomy by the Iraqi government. However, Iraq continuously tried to get control of the area by military interventions up until 1991, after which a no-fly zone was established above the area in 1991. One year later, the Kurdistan Regional Government (KRG) was formed by the Kurdistan National Assembly. Iraqi Kurdistan consists of the governorates of Erbil, Sulaymaniyah, Duhok and Halabja. A period of fragile peace started after the no-fly zone was introduced. The Kurdish people started to rebuild their society creating a parliamentary democracy. The main political parties – the Patriotic Union of Kurdistan (PUK) and the Kurdistan Democratic Party (KDP) worked together during the 1990s. However, power-sharing arrangements between the two failed, erupting into a civil war from 1994 to 1997. The election in 1996 resulted in the creation of two separate Kurdish states: one state based in Sulaymaniyah controlled by the PUK, while the other state based in Erbil and controlled by the KDP. In 2005, Iraq officially recognized the autonomous Kurdistan Region by a referendum. The two administrations were unified into one government and the Kurdish parliament established the Kurdistan Region Presidency (KRP) as an institution. Masoud Barzani was elected as the first President of Iraqi Kurdistan in January 2005 and was re-elected in 2009. Kurdistan suffered from the ISIS advancement in Northern Iraq from 2014 on. Barzani’s term was prolonged during the war. The Peshmerga proved to be an effective force against the rapid advance of ISIS. The Kurdish government reconquered lost territory and even consolidated non-Kurdish territory in Iraq. In the political and military vacuum that existed in Nothern Iraq in the aftermath of the ISIS conflict, Barzani called for an independence referendum. Although the central government in Bagdad didn’t acknowledge the legitimacy of the referendum, the Kurdish government went ahead with a vote in September 2017. An overwhelming majority of 92.73% voted for independence. Barzani was however hesitant to declare Kurdistan independent. No countries supported the referendum. In the meantime Bagdad started a military offensive to reclaim the non-Kurdish territory in Northern Iraq. Barzani eventually resigned as president. Leaving the independence movement without a direction and the region without president until regional elections in late 2018. According to the constitution of 2005 Iraq is a parliamentary democracy with a multi-party system whereby the executive power is exercised by the prime minister, president and Council of Ministers. The president is elected by the Council of Representatives. He nominates the prime minister, who has to be approved by the Council of Representatives. The prime minister is the head of government and is the executive authority. The legislative power is vested in the Council of Representatives and the Federation Council. From the 328 seats in the Council of Representatives, 320 members are directly elected in multi-seat constituencies by proportional representation. The remaining eight seats are reserved for minorities. The Council of Representatives is elected for four years. The Kurdistan Parliament has 111 seats and consists of one elected chamber. In 2009 amendments were made to the election law to increase the inclusiveness of all groups. The minimum age of parliamentary candidates was lowered from 30 to 25. The quota of female MPs was increased from 25 to 30 percent of the legislature and seats reserved for minority Christian and Turkmen communities were increased to five seats each. Elections are held every four years. Every citizen of the Kurdistan Region with a minimum age of 18 years and on the electoral registering is eligible to vote in a direct, universal and secret ballot. On May 12th 2018 Iraq went to the polls to vote for the first time since the defeat of ISIL and the Kurdish independence referendum in 2017. Originally the elections were scheduled to take place in September 2017, but were postponed because of the Iraqi Civil War. Voters could choose from a record number of 85 parties who organized themselves into larger alliances. Voter turnout was with 44.52% the lowest since the first democratic elections in 2005 after de the fall of Saddam Hussein. The vote was widely seen as referendum on incumbent Prime Minister Haidar al-Abadi and his Nasr Coalition handling of the Iraqi Civil War. Although most analysts argued that al-Abadi had a good chance of winning the elections and securing a second term as prime minister, the Alliance of Revolutionaries for Reform of the Shia cleric Sadr won most seats. Sadr won the nationwide popular vote with more than 1.3 million votes and gained 54 seats. He was followed by Amiri’s Conquest Alliance with more than 1.2 million votes, translating into 47 seats, and Abadi with more than 1 million votes and 42 seats. The European Union Election Observation Mission in Iraq stated that the elections were a key step forward in the construction of Iraq's democracy and long-term stability. “Despite some regrettable isolated reports of violent incidents, the work of the Iraqi security forces and electoral authorities resulted in an orderly ballot, which allowed the Iraqi people to exercise their democratic rights in peace and security.” There were reportedly several instances in which the electronic voting system did not function. Another problem was the lack of functioning infrastructure in the country. Especially in the northern part of Iraq that was destroyed by ISIL, people had difficulties in reaching polling stations. The security measures that were in place to protect voters also made voting hard. People couldn’t enter large cities by car. Nonetheless was there one terror attack in Kirkurk, where two voters were killed. The Patriotic Union of Kurdistan (PUK) was founded on 1 June 1976. It was founded as a response to the end of the first Kurdish uprising that started throughout the 1960s and ended in March 1970 with an agreement between the Iraqi government and the Kurdish people. The PUK used to be a coalition of at least five separate political entities, of which the most significant was Mam Jalal Talabani. The PUK is a social democratic party and its principal values are democracy, human rights, and the right to self-determination. The party strives to provide equality in job opportunities, to promote the independence of individuals, to prevent oppression and to eradicate racial and gender-based discrimination. In the years after its founding PUK ruled together with the KDP until disagreements drove the parties a part, and a civil war followed from 1994-1998. Al Wataniyah and Al Arabiya were founded after the Sunnis had largely supported the Iraqiya Party in the 2010 elections (92 seats). However, its leader Ayad Allawi was not able to create a majority coalition. Therefore the Sunni Arabs split their votes among three major parties: Al Wataniyah, Al- Muttahadun and al-Arabiya.Leader Muqtada Al-Sadr. The Al-Sadr (Sadrist) movement was first announced as the Al-Mahdi army, established by Muqtada Al-Sadr to “liberate Iraq”. Muqtada called for political resistance against the “occupation”, but that turned into intense military confrontations with the Multi National Forces and other Shia parties. Between 2003 and 2008 it promoted a strong anti-Western discourse until the army got uprooted by the US. The Al-Sadr movement nevertheless continued to play an active role in Iraqi politics. The ISCI is a Shiite party in the government of Iraq. The ISCI was formed in 1982 under the name of the Supreme Council for Islamic Revolution in Iraq (SCIRI) to provide an opposition to Iraqi aggression towards Iran. The SCIRI was founded by Ayatollah Sayyed Mohammed Baqir al-Hakim. After the war ended, the party continued to oppose the regime of Saddam Hussein. They advocated theocratic rule for Iraq and conducted a low-level, cross-border guerrilla war. In opposing the regime, SCIRI has signed multiple agreements with The Patriotic Union of Kurdistan (PUK) and the Kurdish Democratic Party (KDP). In addition to their main office in Teheran, the SCIRI has had offices in London, Syria, and Vienna. They are also represented by accredited agents in Canada, Australia and other countries. The KDP is a Kurdish party based in the northern governorates of Dohuk and Erbil and was founded in 1946. KDP is one of the oldest parties in Iraqi Kurdistan. It strives for independence of Iraqi Kurdistan. The party is regarded as being populist and nationalist. The current leader of the KDP is Masoud Barzani, who was elected in 1979 and has been re-elected ever since. 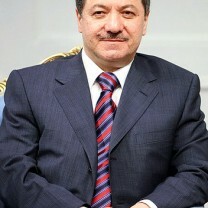 In June 2005 he was elected as the President of Iraqi Kurdistan. Mutahidun is a Sunni coalition made out of ten groups. It encompasses the major Iraq Sunni blocs, such as the bloc of former Awakening Movement leader Ahmet Abu Risha, the Ninewa-based Hadba list, the Future Bloc of former Finance Minister Rafia Al-Issawi, the Iraqi Islamic Party, and the Iraqi Turkmen Front. More information, see Al Watinayah. Gorran aims to take a totally different approach and to teach people there are other ways of politics away from the Stalinist style. The party thinks that the only achievable way to do this is to declare themselves a movement rather than a party. Established in 1994 the Islamic Union of Kurdistan, also known as Yekgirtu, is considered to be a party with close links to the Muslim Brotherhood. However, in 2014 party officials distanced themselves from the Muslim Brotherhood, shortly after the movement was listed as a terrorist organization by the Egyptian government. The Kurdistan Islamic Group is an Islamist movement established by Ali Bapir in 2001. The group has been linked to the terrorist group Ansar al-Islam, but in a statement in 2004 denied the existence of such links. Masoud Barzani is the first President of the Iraqi Kurdistan Region after the region had been divided between the KDP and the PUK. He was elected on 31 January 2005 and re-elected in July 2009 with 70 percent of the votes. Barzani was born in 1946 as the son of Mustafa Barzani, who was a Kurdish nationalist hero. He took over leadership of the Kurdistan Democratic Party (KDP) after his father died in 1979. When the Iraqi government declared the Kurdistan Region a safe area and established a no-fly zone, Barzani evolved from a guerilla fighter to a political leader to run the region together with the PUK. 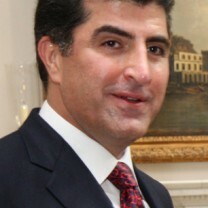 Nichirvan Barzani was appointed Prime Minister of the Kurdistan Regional Government in June 2014, leading the eighth Cabinet. Previously, he led the fifth Cabinet from 2006 to 2009 and the seventh cabinet from 2012-2014. In his position as Prime Minister, Barzani has come up with a few strategic initiatives designed to improve the standard of living and the social and economic climate in Kurdistan.